As opposed to the braids below, these braids are chunkier and slightly long in length which was suitable for the tall client. 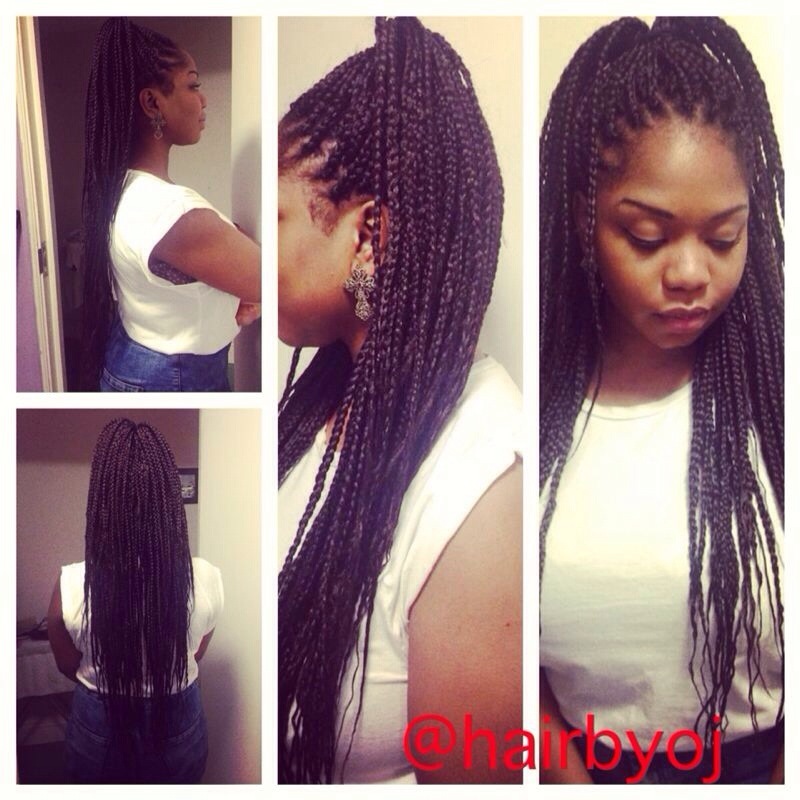 The chunky braids scream retro and are ideal if you’re going for a funky, 90s look! The hair used is ‘Xpressions’ in colour 1b. So the braids are back! 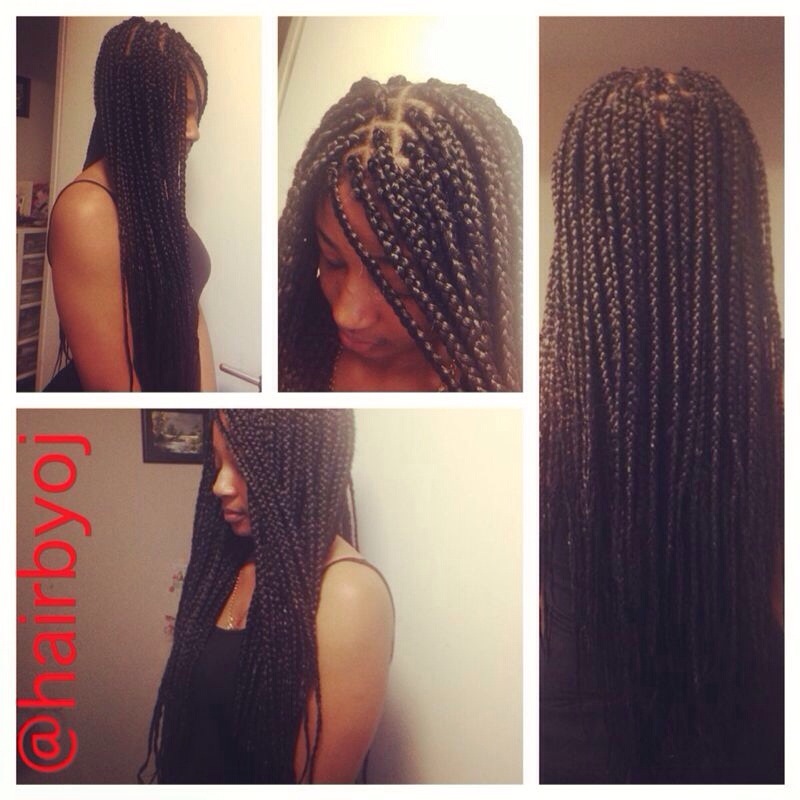 You can’t go wrong with this classic look, of course braids take a lot longer to install than crochet braids, but the end result is always timeless and neat. The picture is pretty self explanatory, the size is medium (more or less equal to the width of my index finger). The long length increases versatility and styling- as you can see ,the client chose to style hers immediately in the classic half up -half down style. The brand of hair used was ‘Xpressions’ in colour 4.